When you are considering a destination for an incentive the choices are countless. The Caribbean, the Big Island or Punta Mita for a “fun and sun spot” to reward your top sellers. Italy, Croatia or even Dubai for something more unique. I wanted to share some news on several relative new comers or destinations that may not be on your incentive radar. They are definitely making their way to the top of the list and I’d love to talk about them with you! 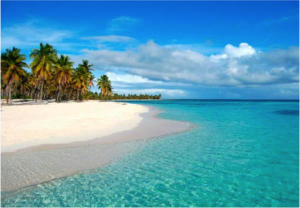 This Caribbean isle offers pristine beaches, top rated resorts and is considered a golfers paradise! Its favored region, Punta Cana, was recently voted one of the top 100 golf destinations in the world. The varied terrain beckons with rainforest zip line adventures, hiking in the savannah and highlands and exploration of the magical lagoons of the Indigenous Eyes Ecological Park. Its 500+ year Spanish colonial history is fascinating and its passionate Caribbean spirit infectious! And, since it hasn’t been discovered by too many people it’s a great value! Previously overlooked for its more well-known “neighbors” such as Nevis, St. Bart’s and Anguilla, the tiny isle of St. Kitts is ready to welcome guests in true Caribbean style with a decidedly 5-star touch! Slated to open in 2016, the Park Hyatt St. Kitts is located on Banana Bay—a secluded stretch of white-sand beach touched by crystal-clear waters. It offers an intimate feel with 125 luxuriously appointed guestrooms and suites that combine contemporary architecture with a timeless colonial feel that taps into the rich historic roots of St. Kitts. You’ll find suites with private rooftop pools and spectacular views of the beautiful island of Nevis and the calm Caribbean waters. Much of this 68-square mile island remains rural with grasslands, clouded forests and small fishing villages. However, that doesn’t mean there’s nothing to do here! Snorkeling, scuba diving, fishing, sailing, kayaking, spa pampering and golfing are just some of the possibilities to fill a fun day! Next to the Reggae Beach Bar a carved memorial to a pet pig says it all: WILBUR. LIVED DE LIFE. RUSHED SLOWLY! St. Kitts…the perfect reward for your crème de la crème. 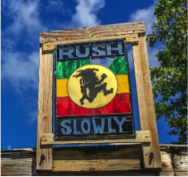 Never considered the island of Oahu? Think it’s too touristy and commercial? Think again! 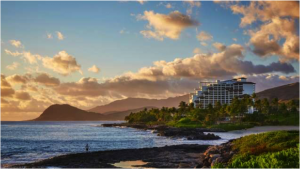 Four Seasons appreciates the aloha spirit that this oft-overlooked island offers and will be opening one of their signature properties on the sunny western Ko Olina coast in early 2016. This wild and rugged side of the island is conveniently close to Honolulu and Waikiki Beach. The property is edged to the north by the pristine nature preserve of Lanikuhonua (“where heaven meets the earth”) and to the south by four lovely beach coves known as the Ko Olina Lagoons. With 350 luxurious guest rooms and suites, restaurants and bars infused with culinary excellence, water sports, tennis, golf and incredible spa pampering…the Four Seasons Resort Oahu at Ko Olina is one to consider. Keep in mind, too, that airfares into Oahu are often a bit less than those to neighboring islands!